In this world today do you wonder...Where is God? 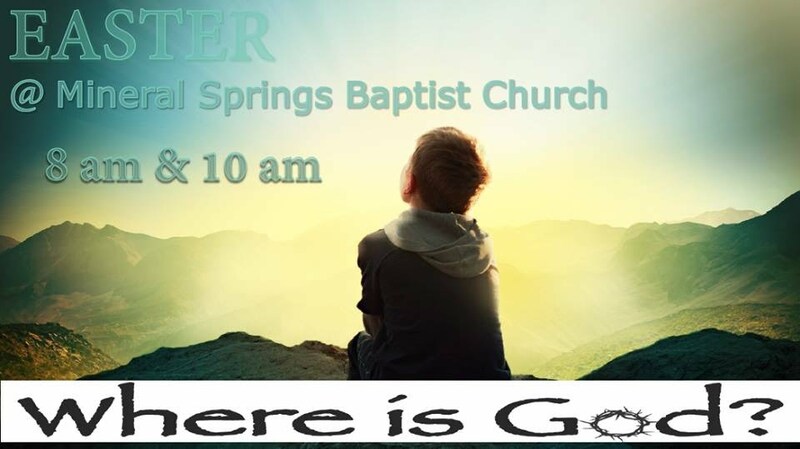 Join us at Mineral Springs Baptist Church as we begin our New Series " Where is God?" , on Easter Sunday, March 27. The morning will include two services, 8:00amand 10:00am, with Free breakfast being served between the two at 9:00am. Music will be provided by MSBC Choir with guest soloist, Mae Allen from First Baptist Church Indian Trail, East Campus. Child Care provided. Parking assistance available.